Shovel Knight is the game Yacht Club Games won’t let die, all to the benefit of the thousands of people who have already played it and its many expansion. The Treasure Trove pack is coming to a close early next year, as King Knight becomes the fourth story to release and close out the expansive saga started years ago. The release of the fourth expansion also means Yacht Club Games gets to launch their last (for now) line of Amiibo. And if you thought the Shovel Knight one was hot, you haven’t seen a thing yet. Hot on the heels of the Nintendo Switch announcement for King of Cards, the King Knight expansion coming next year, Yacht Club Games have revealed an Amiibo triple pack for the three characters that have help round out the rest of the Treasure Trove. 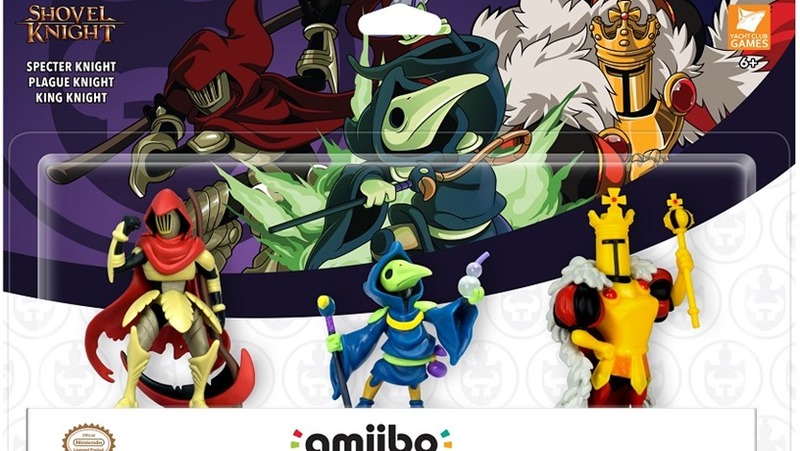 The pack contains Amiibo for Specter Knight (easily the best campaign so far), Plague Knight and King Knight, all ready to take up arms next to the Shovel Knight Amiibo that launched so long ago. The three figures look incredible, but Yacht Club is staying coy about when you’ll be able to get your hands on them. The Amiibo feature some limited functionality in-game, but bring with them some neat visual upgrades for your existing characters. You’ll be able to equip each of the knights with a special outfit, which will only visually sit on top of your stat altering outfit of choice. 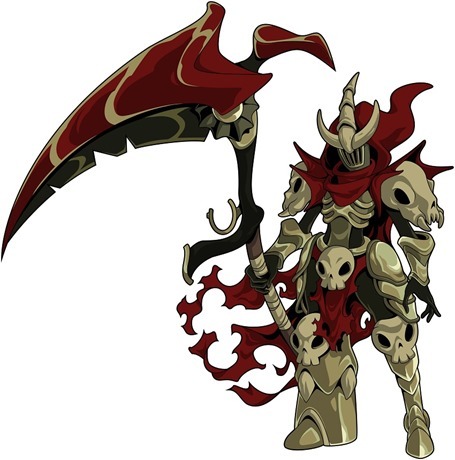 The Lich Lord Specter Knight, for example, looks just gorgeous. You’ll also be able to summon each knight as an Amiibo Fairy Companion, and undertake daily Amiibo challenges with each to keep your shovels and scythes sharp until Yacht Club reveals what they’re moving onto next. The Triple Pack doesn’t yet have a price or release date, but you can be sure those will come soon.